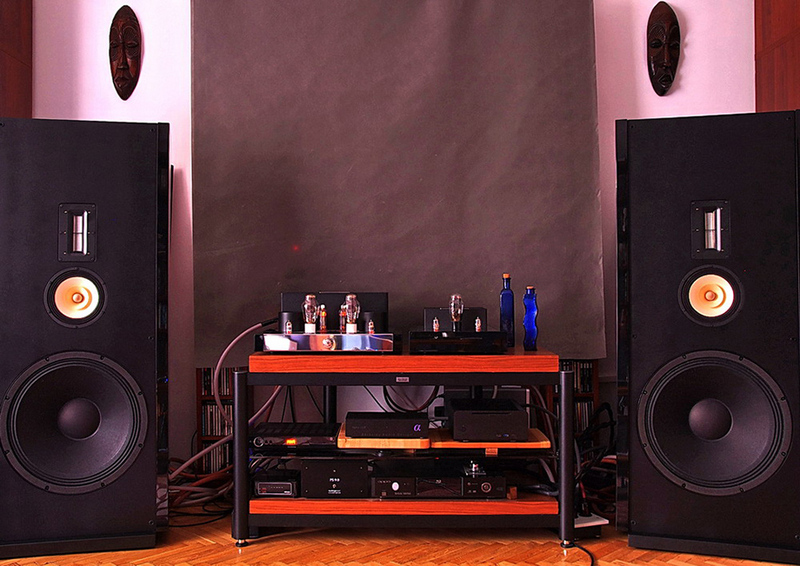 here is a chance that at least some of you remember my review of Polish loudspeakers, Ardento Alter (see HERE), that was published in September 2012. It wasn't my first encounter with products of that company, also those who visited AudioShow 2011 had a chance to listen to a previous model of their speakers. The top model (at the time), Alter, that I reviewed took me by surprise – I was totally delighted. First of all I've never made a secret of my reluctance towards bass-reflex speakers. I'm not going into details here, as I've written about it many time already – simply put, in most cases (I admit not in all of them) there is this coloration, this boomy sound coming out of bass-reflex exhaust that is unacceptable for me. As a result my interest laid mostly in non-bass-reflex designs. 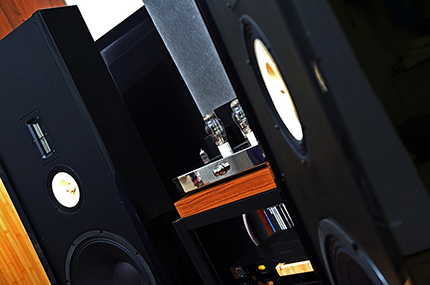 I used to have, and now have another, horn speakers, I liked closed enclosures and transmission line, But still one of the most profound audiophile experiences I'd ever had was a listening session with huge, hand made open baffle speakers equipped with tremendous PHY-PH drivers. It's been at least 10 years since that single listening session and ever since I still dream about having room big enough to accommodate such huge open baffle speakers. Such a room is still only a dream but more or less two years ago, at my friend's house I had a chance to listen to one of the first versions of Alter – open baffle speakers , quite reasonable in terms of size. It took my a while to convince their designer to lend me a pair for a review, but when I finally got them I spent several weeks with them. That gave me a chance to listen to them driven by quite a few amplifiers. Those of you who read my review know that I fell in love with them. On one hand their sound seemed to be tailored for me, on the other many people, who listened to them in place admitted, that they delivered, objectively, an amazing performance. 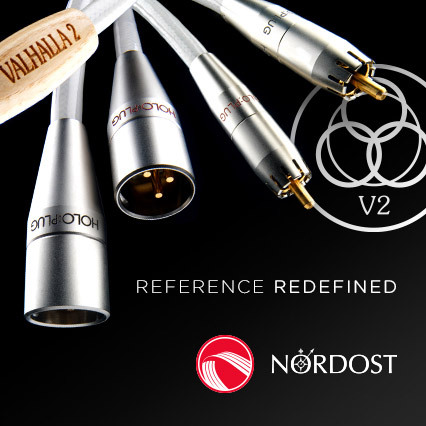 The only thing that stopped me from acquiring them for my reference system was their price – adequate for their value, but simply way to high for my pocket (it seems to be a common opinion that reviewers get a generous gifts from manufacturers and distributors, but that is simply not true). Not only Alters delivered fantastic performance, but they did it almost with any amplifier I drove them with, whether it was a solid-state or tube amp. Not only listening was pure pleasure but they would do their job in reviewer's system too. OK, sorry, the previous sentence is not 100% true – a single 300B SET wasn't enough to drive these speakers to their full potential, so the choice of amplifier matters. With my SET amp (modified ArtAudio Symphony II) delivered wonderful, colorful midrange, beautiful, sweet treble, but it lacked a bit of power to drive 15 inch woofer. Bass didn't have enough power, weight, even though it seemed that amplifier was able to control drivers pretty well. On the other hand some of you might remember my review of Kondo Souga (double 2A3 PSE, delivering 7-8 W per channel, see HERE) and this Japanese samurai had no problem at all to drive Alters creating one of the best, or maybe even the best, setup I've heard so far. What all that has to do with this review? Well, I like to think that my complains regarding Alter being to difficult to drive for 300B SET, and information that Kondo Souga was able to drive them push Ardento's owner and chief designer, Mr Tomasz Flanc, to continue his search for perfect speakers. To be honest I remember that he told me once, that Alter 2 were designed to fulfill a particular request from one of Alter owners, who asked for a even bigger version, with bigger woofer. Obviously I did not witness that conversation by I guess that Mr Tomasz treated that request as challenge. That led to designing and building of Alter 2 – bigger brothers of Alters (1) that I review (and loved) more than a year ago. The open baffle is bigger (and oh my lord so heavier!) because it needs to accommodate an 18 inch, paper cone woofer. To keep proper proportions between sub-ranges Ardento uses now also a bigger Sonido widerange driver and only a ribbon tweeter is still the same as before. The back of the baffle reveals more differences. First of all there are two pairs of speaker posts – this time manufacturer recommends bi-wiring. He offers separate set of speaker cables (copper ones) for bass range, and another (silver one) for the rest midrange and treble. As far as I know the above mentioned customer who challenged Mr Tomasz was quite happy about the result, and I guess the designer was happy as well since Alter2 are now a part of company's portfolio. But that was still not enough for Mr Flanc – he got back to the idea he had some time ago. Such speakers are not, and never will be a mass-sold product. They were created for particular group of customers (and the size of bank account is not the only decisive factor here), rather music lovers and not people fascinated with equipment per se. In the review of Alter1 speaker I mentioned a friend who bought them and than spent quite some time looking for the best amplifier for these speakers (finally he bought GM70 monoblocks). So the idea was to offer customers the whole setup speakers, amplifier and digital source (D/A converter to be exact), plus a complete set of cables. I had a chance to listen to a solid-state DAC more than a year ago. It was pretty good product, with a very good performance considering its price level (around 5 kPLN), although not so feature rich as some competitors (USB input was optional, and there was no DSD compatibility). So it was good, but it wasn't IT. Mr Tomasz took his time and each time I asked for Alter2 I got the same answer: „you will get them when the whole system is ready” and it was supposed to be ready for AudioShow 2013. Well, it was! Maybe 3-4 weeks before Mr Tomasz called asking whether I wanted the whole system before or after AudioShow. We agreed I would get it after the Show, and in fact I got it finally two weeks after. Obviously me, and everybody visiting AudioShow, could listen to the presentation and find out how the system sounded like. I had an advantage over other people as I had a private audition after closing time on Saturday. This made quite a difference since it got quiet around and it was so much easier to hear system's true potential. The surprise was an amplifier – a 300B SET that drove much bigger Alter 2 and did it perfectly. It seemed impossible that SET couldn't drive smaller speakers but could bigger ones! But it was a fact – a single 300B SET drove Alter 2 easily. It was not the only amplifier built by Ardento. They also build 2-in-1 amp, with two amplifiers in one enclosure. A 300B SET to drive midrange and treble and EL34 amp to drive bass. They brought this amp to AudioShow too, but since 300B SET (called Solo) sufficed to drive Alter2, the Dual amp just sadly sat in the corner of the room. A design of Solo looks plain and simple – well finished, good looking but not very original (which is not a bad thing). It is also quite... traditional, not to call it „old-school” - no remote control, only two unbalanced inputs, very simple, mechanical input selector, a single volume know in the middle of front baffle and that's it. Many people during the show spotted also a third tube amplifier... Wait, that wasn't amp, it was an amp-size D/A converter (OK, small amp-size). Have a look at the picture – now you probably know why so many people made that mistake. It surely looks more like a small-size tube amplifier than like a D/A converter. Mr Tomasz is very proud of this DAC, at some point I thought it was actually DAC that he liked best among his products. As you've surely already realized it is a tube, not solid-state device, including tube power supply. As I mentioned before a target group for Ardento are rather music lovers not audiophiles. Probably that is why the PerfectDAC is not so feature rich as many competitors. It sports two S/PDIF inputs and a pair of RCA analogue outputs. There is one up-to-date feature – an asynchronous USB input, accepting signal up to 32/192. But to be honest it is more of a additional feature and not the main input as many competitors advertise their products. To make customer's life even easier Ardento offers also a set of cables for their system – two sets of speakers cables (copper and silver), interconnect, digital cable and power cables for both devices. Mr Tomasz told me that these cables are the perfect fit for this particular system, an element of the whole sound concept. An important notice – anybody can buy amplifier, DAC or speakers separately, but cable are sold only together with those devices, never separately. During our conversations Mr Tomek said it many time – he didn't want to be a cable manufacturer, he made these only to support his system, to make it complete (except for the digital source of signal). This year during Audio Show we will present a result of many years of our search, hard work and experiments: a complete audio system build 'around' ARDENTO ALTER 2 loudspeakers – a bigger brothers of Alter 1 model that received BEST PRODUCT 2012 from „High Fidelity” magazine. To drive these high-sensitivity, sophisticated speakers we have designed and build two amplifiers – one SET based on a legendary 300B triode – a subtle ARDENTO SOLO, and another “muscular” design called ARDENTO DUAL. Both are single-ended designs using interstage coupling transformers. The second version of our amplifier was designed for a lovers or more dynamic sound – in fact there are two amplifiers in one casing – a 300B SET and a EL 34 amplifier to drive bass section of Alter2. A true heart of this system is ARDENTO PERFECT DAC, that has been evolving in our laboratory for years finally reaching present stage when it has become a key element of our system. A sophisticated power supply, hand picked elements, and an analogue section “spiced” with a pair of E88CC tubes. To complements this unique system we have also built a complete cable set for it made of best wires that undergo a complex thermal treatment. We offer, for our system, speakers cables, interconnects, power cables and digital cable. This is a refined, perfectly matched system, that is able to convey in an unforced manner all the emotions hidden somewhere between notes of music. It allows to fully enjoy the music offering listener a PURE PLEASURE! So what Ardento offers is a complete, sophisticated system that unlike many others is not advertised as “the best in the world”, but just as a chance for some group of music lovers with refined, sophisticated taste who are offered a chance to acquire a unique, hand made system, created with love of music in heart, offering outstanding performance. The speakers are a 300B SETs owner dream come true – most of us (us, because I've had such amp for a long time) have to accept single driver loudspeakers in horn or bass-reflex enclosures as the only choice for our amplifiers. But here we are offered huge, full range speakers with 18 inch woofer, with ribbon tweeter and widerange driver that don't need anything more but our precious 8 watts. Is there anybody among us who wouldn't trade his/hers speakers for these? No? I thought so. Many audio designers never declare it clearly, but they (except for those designing mass-product) always offer us a certain idea of a sound, their own vision to be clear and they hope that other people would share that idea. One of those who put it plain and simple was the legendary Hiroyasu Kondo, who all his life tried to recreate with his devices a sound he remembered from a concert he attended at the age of 16, conducted by maestro Toscanini. Mr Tomasz also has his idea of a sound he loves and that's what he offers, realizing very well, that not all the people have to share it. After all our hobby is very, very subjective one. I know, from more than one sources, that there is a group of Alter 1 owners who already share Ardento's idea for a great sound, and I would have joined them if I only could have afforded that. So no wonder that after hearing that new Alter 2 offered even better sound I couldn't resist checking it out by myself. We all know that parents (and Ardento products are Mr Tomasz' kids) often can't be truly objective when talking about their children. Finally my patience was awarded and the whole system landed in my room. One more thing. To make audition even more fun Ardento offered for their D/A converter a whole selection of tubes. Three different rectifier tubes and five pairs of output tubes – 3 pairs of 6922 (NOS tubes: Amperex, Philips HQ, Siemens CCa), and Russian tubes: 6n6p and 6n23p. 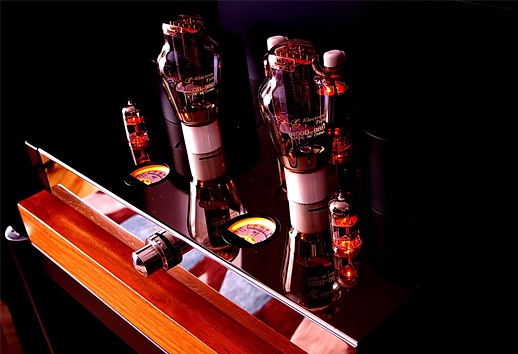 That's one of the greatest features of most tube devices – you can play around with different tubes changing sound, or maybe rather sound's flavor as the differences are not dramatic. It more like adding a different spice to your food – tastes different but it doesn't make it a totally different dish. Obviously you might like the new flavor or not – it is always up to you, but fortunately, unlike in case of food, here you can always take tubes you don't like out and replace them with others. Some people have few sets of tubes for different music types, moods occasions and so on. And what is it that solid-state guys have? All right, all right – sorry, I didn't mean to start a new tube vs ss war :) Anyway in this particular case it took me a while to chose my favorite set of tubes. Using Russian tubes made PerfectDAC sound more... “tube-ish” in a common meaning of this word, or in other words is sounded warmer, with more midrange exposure, with more rounded range extremes, although at the same time bass was getting even “heavier”.